AFSI depends on the hard work and engagement of many folks working in the shorebird community. All of the working groups are looking for broader engagement so if one or two spark your interest, be in touch with the working group lead. Check out what we are up to! Threats to shorebirds habitats are many. In many coastal areas birds are confined to a fraction of habitat that was once available and future threats are potentially more complex and consequential than previous threats. The AFSI Habitat Working Group was established to address the many habitat-related threats to shorebirds and implement strategies that will ensure high quality habitats are available to meet the energetic and reproductive needs of shorebirds. The Habitat Group primarily functions through the sub-working groups. Coastal Engineering has been very broadly interpreted to address the negative impacts of historic and future engineering projects, as well as seek positive opportunities to influence regional and local sediment management protocols, for protection of intact coastal habitats, improving current engineering practices, and identifying opportunities for restoring previously damaged or biologically compromised coastal shorebird habitat. This group has been primarily focused on a recently NFWF and partner funded project. The project will improve and expand predator management efforts using the following strategies identified in AFSI: 1) develop and promote BMPs; 2) implement predator management efforts at representative demonstration sites; and 3) assist with outreach and training activities through coordination with affiliated projects. Incompatible Management focuses on the resource management conflicts that could adversely impact migratory shorebirds. This could be simple, like the managed expansion of peregrine falcons in the Atlantic Flyway thus increasing avian predators especially near known stopovers for shorebirds. It also includes more important conflicts of natural resource use like the harvest of horseshoe crabs for bait and the biochemical lysate on Delaware Bay. The committee proposes to broaden the scope to include other conflicts such as the management of waterfowl impoundments. The committee would also like broaden the group to include international participation where natural resource conflicts are more common and seriously threaten shorebird use. This group will focus on first on human recreation at beaches, off-shore islands, rocky coastlines. The group will cover both management and communication of recreational threats. Given the scope and scale of threats, the group will begin by identifying specific recreational threats; species affected; identify successful management techniques and strategies; identify current projects underway; and determine how to be relevant to targeted audiences. Implementing full lifecycle conservation across the Atlantic Flyway requires a long term vision and sustained, coordinated conservation action that is focused on the sites that shorebirds require for breeding, migration stopover, and winter. Many gaps exist for this information and data is not widely available for conservation planning and decision making. This committee is compiling data on the distribution and abundance the priority species throughout the Atlantic Flyway. Key sites are being identified using criteria for WHSRN sites and Important Bird and Biodiversity Areas (IBAs). The results of the site inventory and conservation assessment are to be presented through a public-access Google Earth interface and a geographic database built on the ArcGIS platform. 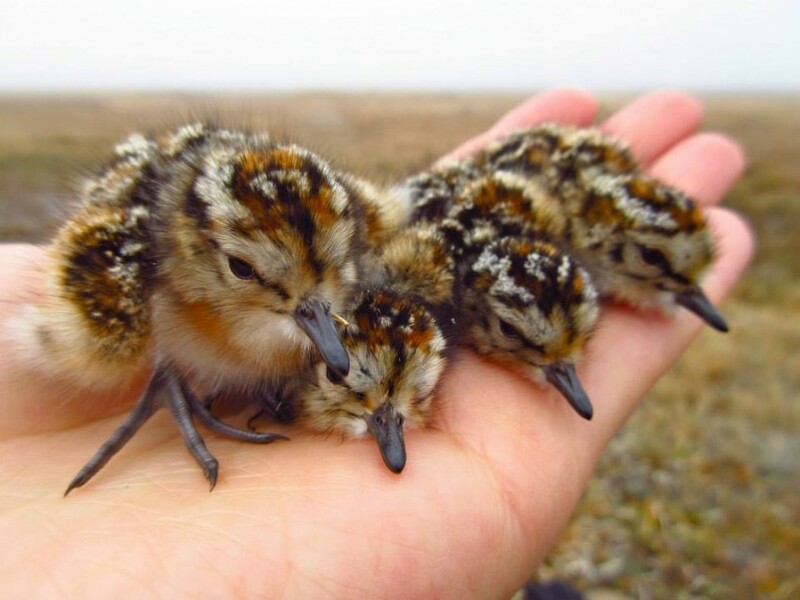 The climate change committee was established to address the potential effects of climate change on shorebirds and shorebird habitat. The committee is planning a series of webinars where shorebird scientists, climate change experts, and policy workers could discuss their work and help us move forward more effectively in shorebird and shorebird habitat conservation. The committee will need to better integrate climate change into the conceptual model and strategies that have been developed through the Open Standards approach used to construct the AFSI. Climate change should be recognized as a central threat/stress with developed strategies and result chains so that future funding can be channeled to support it more fully. The Monitoring Working Group’s major task was to outline an approach to integrated shorebird monitoring. Implementing monitoring to measure population size and trend of all shorebirds is the goal of PRISM, the Program for Regional and International Shorebird Monitoring, so the AFSI working group decided it made sense to work with PRISM rather than create a separate working group. The PRISM committee will continue to work on strengthening all shorebird monitoring programs for both the Atlantic and Pacific shorebird Initiatives. All of the existing programs to monitor shorebird population size and trend are underfunded, and some have no funding at all. Supporting these programs will be critical to our success at measuring and documenting the results of AFSI projects. The Communication Working Group is focused on promoting AFSI throughout the Flyway for broader support and engagement. To achieve this, the AFSI website and executive summaries are provided in multiple languages; a targeted congressional outreach plan is being developed; and the partner accomplishment storymap continues to grow. To fully support the goal of garnering support and funding for AFSI, the working group needs to build capacity, prioritize needs, and determine which documents need to be available in multiple languages. A step-down plan, A Plan to Address the Sustainability of Shorebird Harvest in the Western Atlantic Flyway, was finalized in May of 2016 and contains a vision, goals (biological and human wellbeing), objectives and indicators. The working group has worked cooperatively to develop two proposals that were successfully funded by the National Fish and Wildlife Foundation. Additional funding will be coming to the U.S. Fish and Wildlife Service, through efforts of NFWF, to fund additional projects in Brazil, Guyana, and Barbados.